Sinosteel Futures Co., Ltd (abbreviated as SFCO) is a professional and comprehensive futures firm, registered under the State Administration for Industrial and Commerce (SAIC) and holds the license of futures brokerage issued by China Securities Regulatory Commission (CSRC). 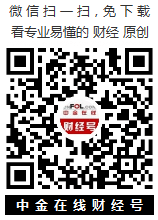 Sinosteel Futures Trading Department, the predecessor of SFCO, began to participate in China’s domestic futures market early in 1993, and developed together with China’s Futures Market. Aiming at creating values for clients, SFCO provides clients with advanced trading system, personalized service and systematic product under the principle of honesty and regulated operations. SFCO, with its headquarters at Beijing and branches in Beijing, Shanghai, Dalian, Wuhan, Chongqing, Nanjing, Tangshan and Jinan, sets memberships in all domestic futures exchanges. The comprehensive electronic trading system can guarantee the accuracy and speed of the delivery of orders. The convenient and well-developed system of opening accounts, trading and clearing, offers great ease for the customers during trading. SFCO, with a highly qualified and efficient management, R&D and customer service team, is delighted to provide professional and personalized service in trading, hedging and risk managing for all our clients.